Hill starts during a driving test depend largely on where your driving test centre is located. You can be reasonably sure however, that if there is a road and a hill near your test centre, you will be doing a hill start. Hill starts if done correctly, demonstrate to driving examiners excellent control of the car, plus safe all round observations if moving off from a parked position. This tutorial will explain how to do a hill start, a downhill start, what the examiner is looking for during a hill start, frequent mistakes made by learners during a driving test and how to recover from a mistake and still pass the driving test. The majority of this tutorial is for hill starts in a manual although hill starts in an automatic is also explained. 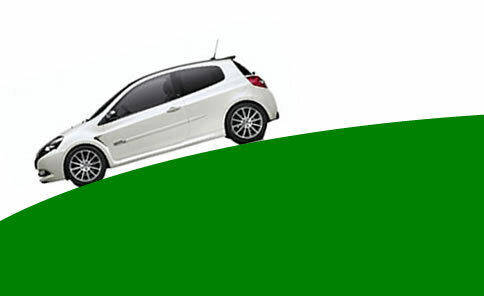 It’s common for the examiner to ask a learner to park up on the left on a hill during a driving test. Follow the tutorials for stopping a car and kerbside parking for the correct methods to parking up. When you have parked and stopped on a hill however, ensure you keep your foot brake firmly applied until you have applied the handbrake. It sounds obvious but many learners tend to release the foot brake once they have stopped. On a hill, this will result in rolling backwards if the handbrake isn’t applied. Another note on parking on a hill is that you may need to apply the handbrake a little firmer than usual. Once you have parked and applied the handbrake, if you hear a creaking sound, this can be a signal that the car may roll backwards slightly, so apply the foot brake and pull the handbrake up another notch. When you have parked up on the left (the examiner will not ask you to park up on the right), applied the handbrake and selected neutral, the examiner will then tell you to move off again when you are ready. Select 1st gear and slightly press the accelerator. The usual amount of accelerator or ‘gas’ needed is around 1500 rpm on the rev counter. You will need slightly more than this for hill starts, around 2000 rpm should do. You can find more details on this technique in the how to stop stalling a car tutorial. Although many learner drivers use the clutch bite point when generally moving off to help prevent stalling, it’s not often necessary. For a hill start however, it is essential to prevent rolling backwards. After you have set the gas to 2000 rpm, find the clutch bite point. You will now need to look into your left blind spot, through all mirrors and finish with the right blind spot. You need to check all mirrors and both blind spots to ensure a pedestrian is not directly crossing behind your vehicle as on a hill start there is a risk of your car rolling back. Now decide if you need to signal to the right before moving off or not. See moving off tutorial for further information on mirror checks and indicating when moving off. Also information on the blind spot. If when you move off your car begins to roll back it is essential to take action immediately as failure to do so will result in a failed driving test. You have 2 options; either slightly raise the clutch to prevent rolling back further or immediately depress the clutch followed by the foot brake. The latter option is preferred if you are not too confident with clutch control although it will require you having to start the entire moving off procedure again. If dealt with quickly however, the driving examiner will be happy. A great deal of emphasis on clutch control is the basis of hill starts. 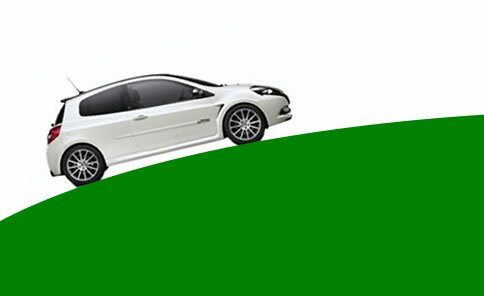 When you do move the car off, depending on how steep the hill is, your car will have to work much harder to gain momentum. You may need to release the clutch from the bite point area slower than usual to prevent stalling, plus you may need to keep the car in lower gears (1st, 2nd etc.) for longer than usual as the engine will have more power to clime the hill in these gears. During the driving test, as with parking uphill, ensure you keep the foot brake firmly pressed until the handbrake is applied. And again, ensure the handbrake is firmly applied to ensure the car does not roll forwards. You will need to perform the Mirror Signal Manoeuvre routine as above before moving off from a stationary position. As you are moving off downhill however, you do not need to be concerned with any pedestrians behind your car as there is no chance of you rolling backwards. For a downhill start, select 1st gear unless the slope is very steep then 2nd gear may be appropriate. Keep the foot brake firmly pressed and after the safety checks, if it is safe to move off, release the handbrake followed by releasing the foot brake. The car will immediately start to roll forwards due to gravity. Gently raise the clutch all the way up. You do not need to be concerned with the clutch bite point or the car stalling as momentum will prevent the car from stalling. Due to gravity helping the car gain speed and momentum faster, you may need to change through the gears faster than with an uphill start. As you are moving downhill, the car will gain speed much faster than usual, so be careful with how much gas you apply and be ready to gently use the foot brake is the car speeds up too quickly. One of the benefits of an automatic car is that they do not stall. Hill starts in an automatic car are significantly easier than in a manual. When performing a hill start in an automatic car, ensure the handbrake is applied in the same way you would apply the handbrake in a manual car. Put the car into drive and perform all the safety observation checks if moving off from a parked position. If all clear, release the handbrake and simultaneously press the accelerator. On slight uphill gradients, an automatic car will not roll backwards when the handbrake has been released. On steeper hills however, an automatic can roll back unless your vehicle is fitted with Hill Start Assistant technology. For this reason it is important to apply the accelerator simultaneously as you release the handbrake to prevent rolling backwards. The tutorials below are likely to help learning to drive and hill starts. is this even on the new test? Hill starts are irrelevant to the new and old driving test as it’s not an official manoeuvre. It depends whether or not the test centre is in an area where hill starts can be conducted. If it is, then you can be almost sure that the examiner will go for it.